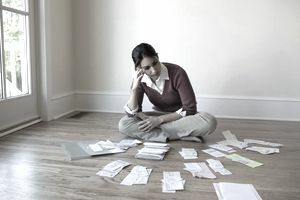 When you’ve got more loans than you can keep track of – and you’re having a hard time making payments – a debt consolidation program may offer relief. Before you sign up, learn how they work and evaluate if you need to use one. A debt consolidation program is a service that involves combining multiple loans into a single payment. In most cases, a “program” is a service offered by a credit counseling company or organization: you make a single payment to the company, and they forward your payments to creditors. The terms can get confusing. A debt consolidation loan (as opposed to a program) is a brand new loan that gets used to pay off other loans. You make a single payment instead of multiple payments. You probably have a lower monthly payment than you had before. You may end up taking longer to pay off your debt. You’ll hopefully get a lower interest rate, although you could still spend more on interest overall. Again, the main difference between a debt consolidation loan vs. a debt consolidation program is that a loan results in shifting your debt to a new loan. A program, which we’ll explain below, is a service to help pay off your debts where they are. If you have good credit and sufficient income, a debt consolidation loan might be your best option. Compare fees you’ll pay for a loan or a program, and decide what’s best. A debt consolidation program is a service to help you manage your debt. With the help of a nonprofit credit counseling agency or for-profit company, you’ll set up a plan and a system to eliminate debt within three to five years. Start With Counseling: The first step of a debt consolidation program is counseling. You’ll speak with staff at the service provider to determine whether or not they can help and to lay out a plan. It is a good opportunity to learn about your debt – and to ask about fees and how the organization works. If you get a bad feeling, try a different company. You’ll Pay Fees: Even though some organizations are nonprofits, expect to pay a setup fee and monthly fees. Compare fees among organizations before you pick one. When you’re struggling financially, those dollars matter. Unsecured Loans Only: Debt consolidation programs are for unsecured debt only. In other words, the loan can’t be secured by collateral (for example, home loans and auto loans would not work). Unsecured debts include loans such as credit cards, personal loans, and some student loans. You’ll Keep Your Accounts: With a debt consolidation program, your loans will continue to exist where they are now – you’re not getting a new loan or moving the debt around. You’ll make one monthly payment to your service provider, and the funds will then be distributed to your various creditors. Your service provider communicates with your creditors during the setup process and as the program progresses. No New Debt: The goal is to eliminate debt, so adding debt will not work. You’ll need to close most of your credit cards and agree not to take on new loans while you’re paying off the old loans. Lower Payments: Ideally, you’ll pay less each month, but more of that money will go toward debt reduction. Your interest rates may also be cut to help with the payoff, and you might even see penalty fees reversed. Sound too good to be true? There’s a tradeoff, of course (not to mention the fees you pay to your service provider). Effect on Credit: Using a debt management program may damage your credit. Your service provider will negotiate with lenders, and you’ll probably end up paying less than you were supposed to pay each month. As a result, your credit scores may fall. If you had perfect credit before a consolidation program, you’ll definitely notice the hit. If you were missing payments and paying late anyway, the effect may be modest. There are numerous businesses out there eager to help you manage debt. How do you know which one is best? Ask around, read reviews, and research service providers. Start with organizations that have a strong reputation. The National Foundation for Credit Counseling (NFCC) certifies counselors and sets certain requirements for member organizations, and that’s a good place to start. Remember that you might not even need a debt consolidation program: you can do some of this yourself. Instead of paying a fee, you’ll spend time and energy – but you might have more time and energy than money. Talk with creditors to see if any relief is available. If you’re not having much luck, or if you want to enlist an experienced helper, speak with a credit counselor.